What more can be said about this stage that hasn’t been posted on blogs, race reports and weather reports? How about that I survived it? How about that I had many moments of “WTF?!?! ?” Or how about that I just couldn’t believe I was riding in it? Here are just a couple of comments I’ve seen. 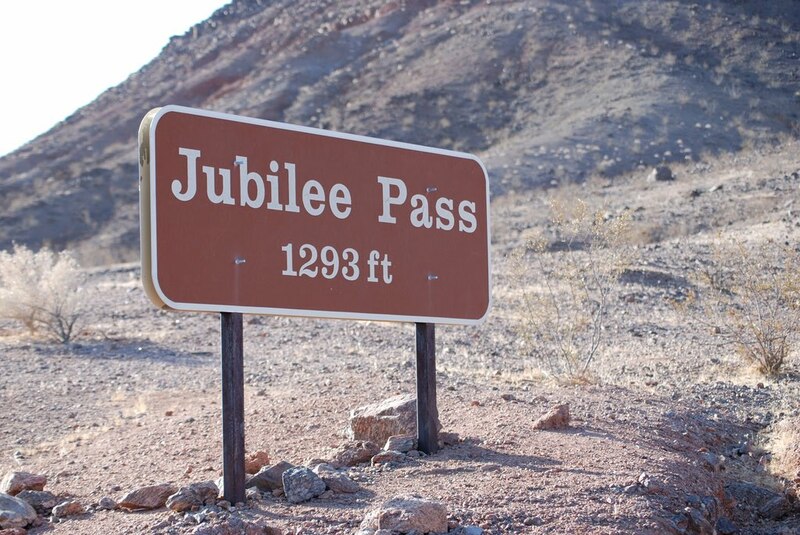 I left the Furnace Creek Time Station knowing that I would face headwinds as I went south through Death Valley but I had no idea how ridiculous they would be. The winds were blowing a steady 25-35 mph and gusting up to 70 mph. I can’t express to you how humiliating it felt to be riding at 7-8 mph into those headwinds. I pushed the pedals hard and got nowhere. I eased up on the pedals and felt like I was going backwards. I couldn’t get in my aero bars because I was being tossed around like laundry on a clothesline. I would ride for 30 to 40 minutes and then pull over exhausted — physically AND mentally. When the road would turn slightly and the headwinds became crosswinds it was extremely difficult to keep the bike upright. I would lean into the wind and when the wind would shift and I would go wildly across the road. I felt like I was in the start house of a Time Trial and balancing myself with the spotters’ help and then they would let go of me as a sick joke. This mental and physical torture went on for hours. It took me six hours to ride 30ish miles. Eventually, at 5:07 am, Brandy, my crew chief, pulled me off the bike and suggested that I take some time off the bike. The “plan” was to wait until daybreak to see if the weather would improve. Meanwhile, I would have time off the bike, rest my body and recharge my mental energy. Remember, being in Death Valley our cell phones are more akin to paper weights than communication devices. We had no way of reaching out to the “outside world”, the internet, to find out what the weather forecast might be for the next few hours. Many riders took naps of at least a couple of hours. I have trouble falling asleep when I first get off the bike. By the time I get comfy so much time has gone by I can’t take a nap then. My crews, bless their hearts, have always found a way to fall asleep almost instantly when I’ve gotten off the bike. Daybreak did bring slightly better conditions but only slightly. Or was it that I was refreshed from the hour off the bike? One thing I’d like to mention is the tenacity and will power Isabelle Drake, who was part of a 2X Sandhill Cranes, displayed while on the Furnace Creek to Shoshone leg. She battled through the night in short spurts like I did. We would leap-frog each other and give each other motivation to continue. One time when I pulled over exhausted she even said “Don’t you stop (or quit) and leave me out here!” Isabelle you’re an inspiration. I’m proud of you and glad to have witnessed your ride! If you can believe it I was so happy to be climbing again. Well actually, I love to climb more than anything else. The climbs were uneventful just climb and climb some more. The best part of these two climbs was I was no longer riding into a headwind! LOL! I rolled into Shoshone at 10:18 am Sunday morning. I’m almost embarrass to say that it took me 10 hours and 41 minutes for cover 75 miles but I’m proud to say that I continued on from Shoshone. 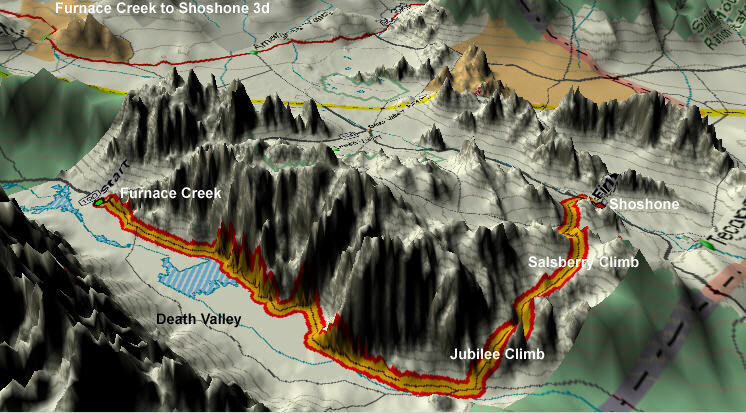 By my count (17) SOLO riders, (4) 2x teams and (1) 4x team DNF’d before reaching Shoshone. But I was still standing and that has always been a great motivator to me. This entry was posted in 2009 furnace creek 508, photos, race reports, videos by REV Cycling Directeur Sportif. Bookmark the permalink.